Silver lockets pendants and necklaces really are the perfect personalized jewelry gift for the loved ones in your life. Our lockets open to reveal two pictures inside of the ones most precious in your life. 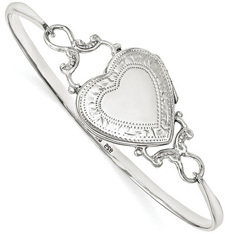 Choose from design lockets to plain, polished ones, from heart-shaped to round or oval with unique patterns varying from paisley scrollwork to crosses and more. Every locket necklace and pendant comes with Apples of Gold's 45-day return policy (no questions aksed) and Free Shipping! 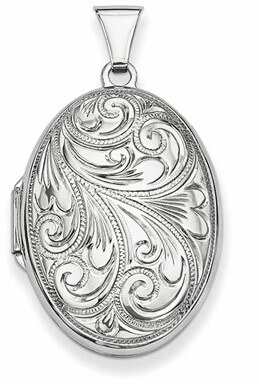 View our collection of sterling silver lockets or check out some of our gold and white gold lockets! You won't be disappointed with our collection!